The Nebraska Investment Council invests the available money from the State’s general fund, reserve fund, and State boards, commissions, departments or agencies, and any other state funds not currently needed, into the Operating Investment Pool (OIP). The Department of Administrative Services calculates the average daily balance for each participant and distributes the earned income monthly on a pro-rata share basis. The portfolio is made up of high quality U.S. Treasuries, government agencies, and investment grade corporate bonds with laddered maturities extending ten years. The Council established an Investment Policy Statement for the OIP that includes credit quality and diversification constraints to provide safety of principal, liquidity for the daily cash flow needs of the entities with the OIP, and return on investment. 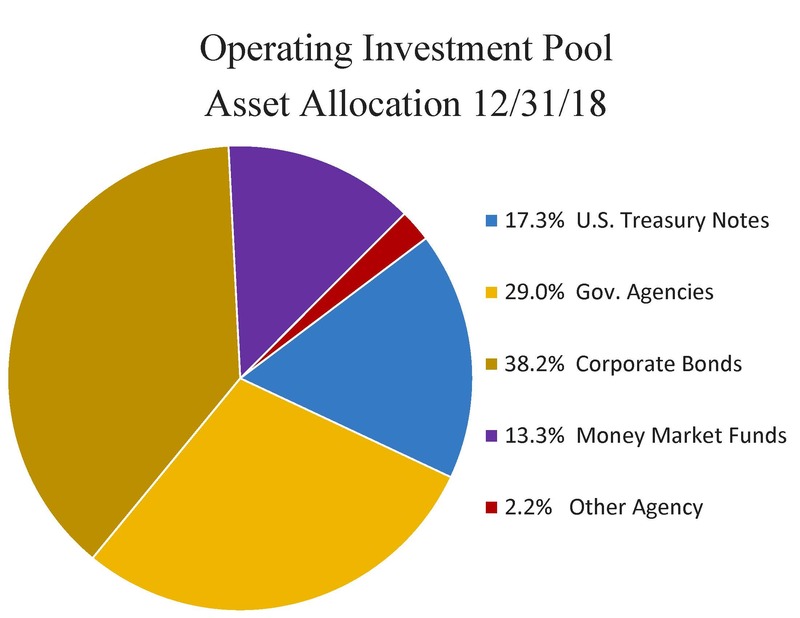 Below is a pie chart reflecting the asset allocation of the OIP as of 12/31/18.